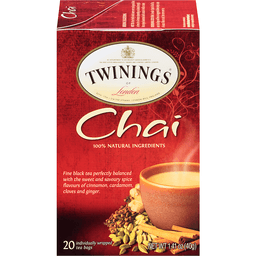 South African rooibos infused with sweet chai spices. Non GMO Project verified. nongmoproject.org. New look. Same great taste. Estd 1972. Explore our world of tea. From the serene forests of Thailand to the misty mountains of China to the tropical paradises of India, we find our ingredients from all over the world. We work with farmers we know and trust to use only quality ingredients sourced with you and the planet in mind. Tea is in our soul, and we exist to share the delight of exploring new flavors with you. We aren't just makers of tea, we're tea people. stashtea.com. Certified B Corporation: We're proud to be part of a community that believes in the power of business for good. More at stashtea.com/bcorp. Open to bring your taste buds to life. 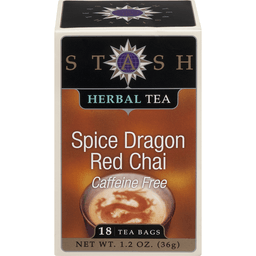 The warm, spicy flavors of this blend will help you embody the power of the dragon to take on the day. 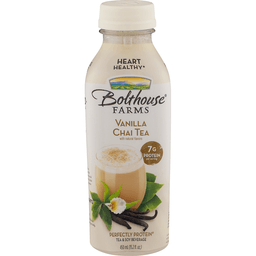 Made with smooth-drinking rooibos from South Africa, this is a light and sweet take on our classic chai. Open. Sip. Smile. Repeat. This box is recyclable and printed with environmentally-friendly vegetable-based inks. 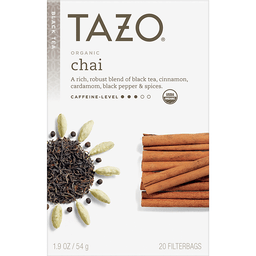 All of our teas are made with quality ingredients, are Kosher certified, and gluten-free. 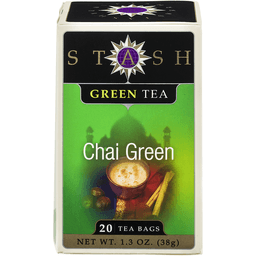 Blended and packed by Stash Tea Company.